Vietnam is in Group C with Japan and Tajikistan, teams they faced in the first phase of the previous tournament. In the inaugural edition in 2017, the same three teams competed in Group B. Vietnam beat Tajikistan 4-2 but lost 1-3 to Japan. Last edition was not a very unsuccessful journey for Vietnam, as they were eliminated right at the group stage. Vietnam play Japan at 2017 AFC U-20 Futsal Championship in Thailand. The three teams will now have another chance to fight for spots in the knockout round, with the two leading teams in each group advancing to the quarterfinals of the 2019 tournament. Defending champion and hosts Iran are grouped with minnows Afghanistan and Hong Kong in Group A. Draw results for the 2019 AFC U20 Futsal Championship. The third place finisher two years ago, Thailand, will be challenged by Lebanon and Kyrgyzstan in Group B. Indonesia, another Southeast Asian representative, will go up against previous runner-up Iraq and Chinese Taipei in Group D.
The AFC U20 Futsal Championship is a biennial tournament organized for the men's youth national futsal teams in Asia. This year, the second edition, will be held in Iran from June 14-22. 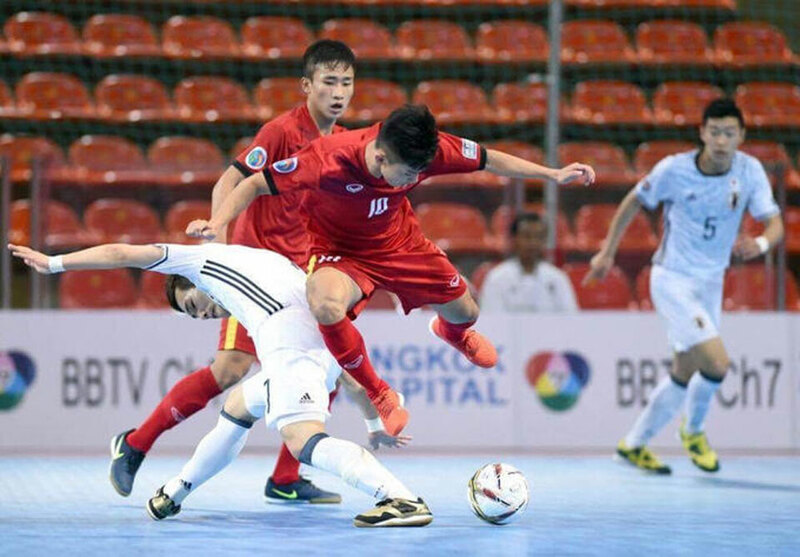 Vietnam will have one month to prepare for the final tournament, with the squad being called up after the national futsal league finishes in May. Midfielder Luong Xuan Truong left a mark in Buriram United’s 1 - 3 home defeat to Beijing Guoan in a group stage AFC Champions League match Tuesday. Twenty-eight players have been summoned to the Vietnamese U18 team by head coach Hoang Anh Tuan in preparation for the upcoming 2019 International U18 Football Tournament in Hong Kong (China).